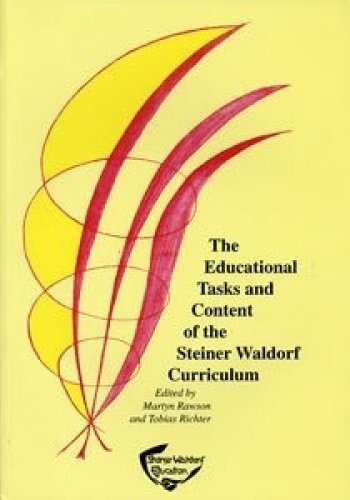 Rawson, M. and Richter, T. (2000) The Educational Tasks and Content of the Steiner Waldorf Curriculum. Forest Row: Steiner Waldorf Schools Fellowship. This book is a comprehensive overview of what is taught in Steiner-Waldorf schools, and why.As well as describing the content and methods of the Waldorf curriculum, this book provides a clear overview of the ideas behind the approach.